Director Duncan Jones has signed on to direct Legendary Pictures' live-action adaption of the massively popular line of Blizzard video games, World of Warcraft. 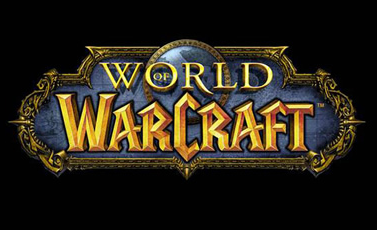 The film, titled “Warcraft”, will be Jones' first shot at a big budget sci-fi film. The director who already has two critically successful sci-fi films (“Moon”, “Source Code”) under his belt, is replacing Sam Raimi who stepped down as director last year. Charles Leavitt (“Blood Diamond”) is writing the script for the Legendary/Blizzard and Atlas is producing. According to The Hollywood Reporter, which first broke the story today, the producers of the film are eyeing a production start for later this year, and a 2015 release date. Hit the jump for more details on the upcoming film's production. Now, I've never played the games myself, but I have watched people play them, and I love how rich the world for these games are. As I've stated many times before, The Lord of the Rings are my favorite films ever, and other than actual Middle Earth based films, the WOW universe is the only thing I can think of that comes close to it in style and richness. I'll watch any fantasy film as long as it's done right, and that largely depends on the man behind the camera, which brings us to director Duncan Jones. I’m thrilled to hear that Duncan Jones will be helming this movie. “Source Code” was one of my favorite films of 2011 and one of the better sci-fi films I've seen in the past couple of years. After seeing that, I've been waiting to see what he could do with a big budget, and he will definitely get that with “Warcraft”. Personally, I wouldn't have been upset had Jones been chosen to direct the next Star Wars film, but this works as well. The main thing working against him here is that we're still waiting to see if it's even possible to make a good video game adaption. This will be the biggest adaption of a game to date, which means he's got more to gain - and more to lose - than any director to try and tackle the genre before him. I guess we'll have to wait until 2015 to see if he can pull off what no director before him has been able to do, but I'm excited to see his efforts. What are peoples' thoughts on this story? Are you excited that Jones is directing, or do you hate the idea? Do you think it's even possible to bring this game to the big screen?We'd love to hear your comments.